Dr. David N. Buchalter is a board-certified orthopedic surgeon who trained at the Hospital for Joint Diseases in New York City, one of the largest and most prestigious orthopedic training hospitals in the United States. After completion of his residency, he did specialized fellowship training in joint replacement surgery, sports medicine, and trauma surgery. He spent time studying throughout Europe and was involved in some of the early research on cartilage transplant and cartilage regeneration procedures. Dr. Buchalter has performed well over 3,000 total hip and total knee replacements and is a member of the American Association of Hip and Knee Surgeons. Less than 5% of orthopedic surgeons in the country are members of this society, which includes physicians who specialize in total hip replacements and total knee replacements. He is one of the few surgeons performing less invasive hip and knee replacement surgeries, allowing for a small three- to four-inch incision, less pain, and faster recovery time. He performs the direct anterior approach for total hip replacement using the Hana Table at both Delray Medical Center and Boca Raton Regional Hospital. Dr. Buchalter has been using multimodality pain management protocols, which accelerate recovery and minimize post-operative pain after hip and knee replacement surgery. He strongly believes in the philosophy of combining cutting-edge techniques with well-established prosthetic components. This allows patients to have the fastest recoveries while being assured that the components that are implanted have a proven track record. 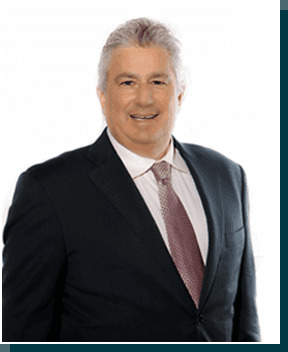 Dr. Buchalter has been in practice in South Florida since 1991, where he has been active in the medical community. He is former Chief of Surgery at Delray Medical Center and has been the chairman of numerous hospital-based committees. For six years, he served as Chairman of the Board of Directors of Delray Medical Center. Dr. Buchalter and his family reside in Boca Raton, Florida. WARNING: This video may be disturbing to some viewers. Viewer discretion is advised.